Please choose a design. Choose "None" if no design is desired. Give a little something extra to welcome that new baby! 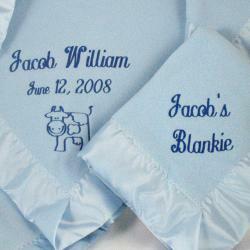 Our New Baby Gift Bundle includes a personalized Deluxe Keepsake Baby Blanket PLUS a personalized Take-Along Blankie. 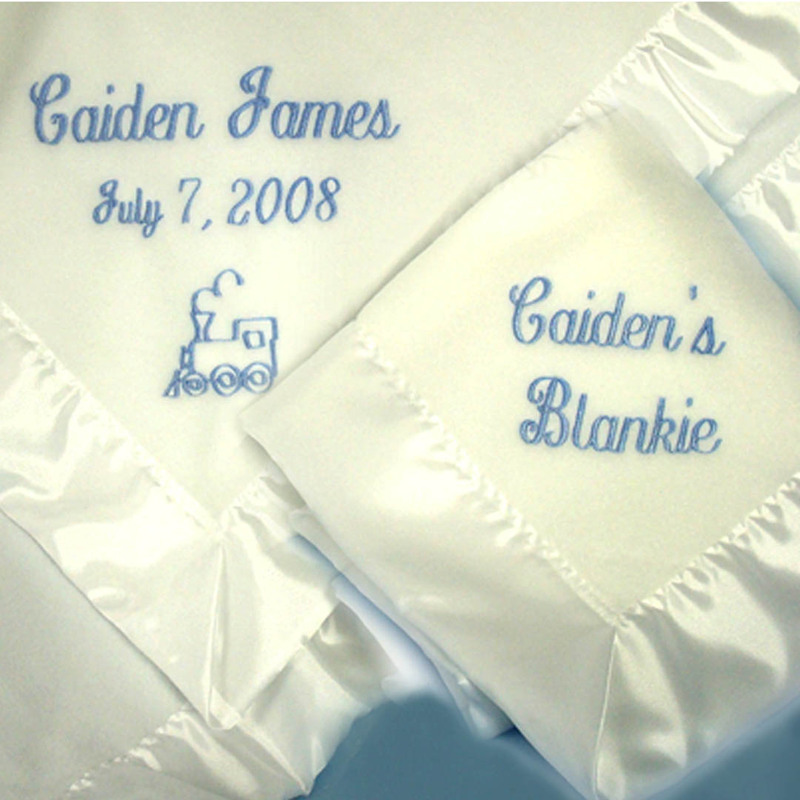 The Keepsake Blanket includes two names, birth date and design, the matching Take-Along Blankie includes baby's first name and the word "Blankie". 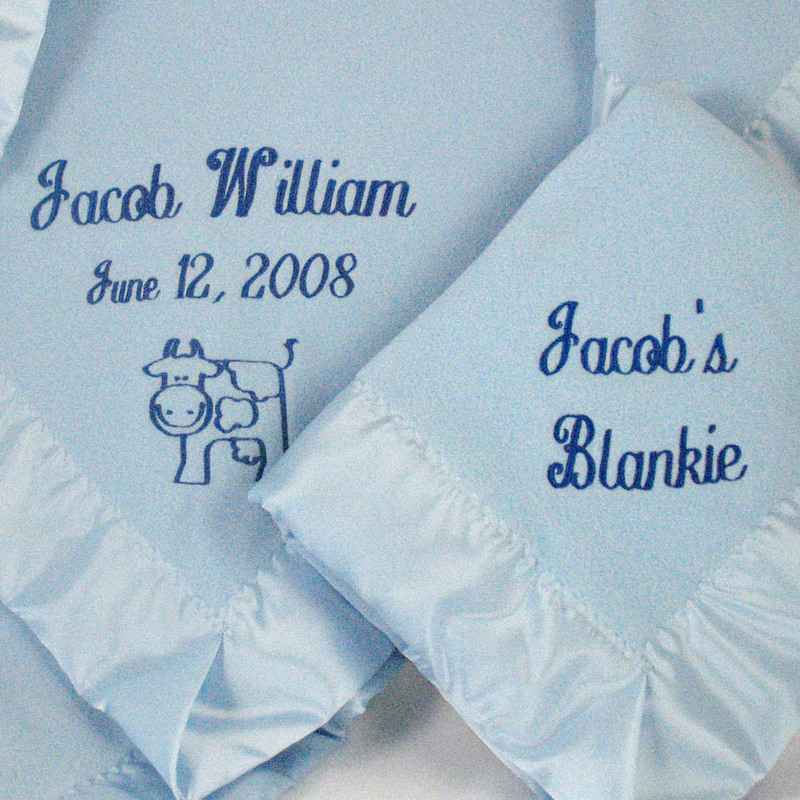 Keepsake Blanket is a perfect size for the crib, and the Take-Along Blankie is just the right size for a "security blankie" to take everywhere. SHIPS NEXT BUSINESS DAY! 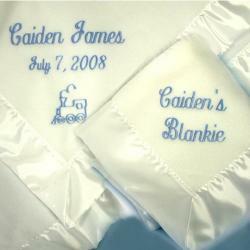 Keepsake Blanket measures 36" x 48"
Take-Along Blankie measures 18" x 24"